This is the third incarnation of the same pattern and it shows clearly how a different colour scheme can change the look of the hall. 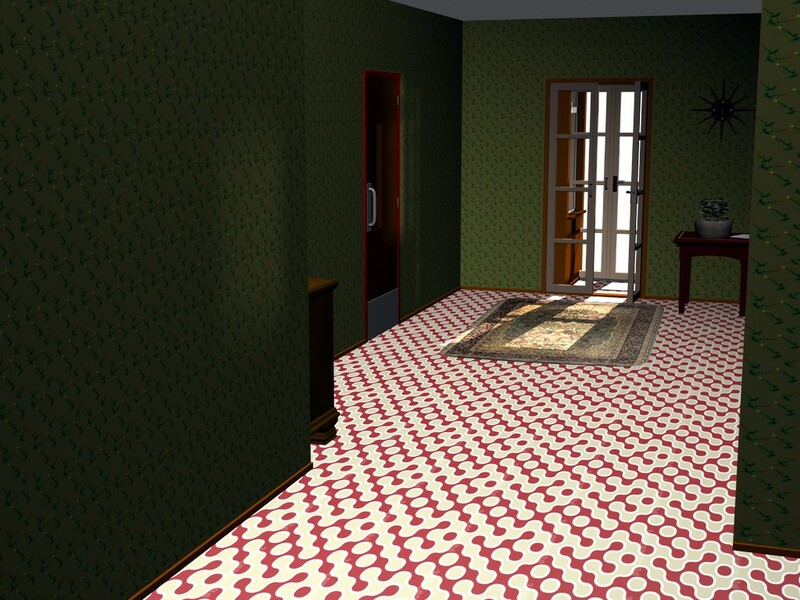 As you can see by comparing the images, the hallway is exactly the same except for the colour of the lino on the floor. The red colour gives the floor and the room a light and airy look and accentuates the sunshine coming in through the front door. A bright colour, it makes the room look wide and brings down, I think, the height of the ceiling. 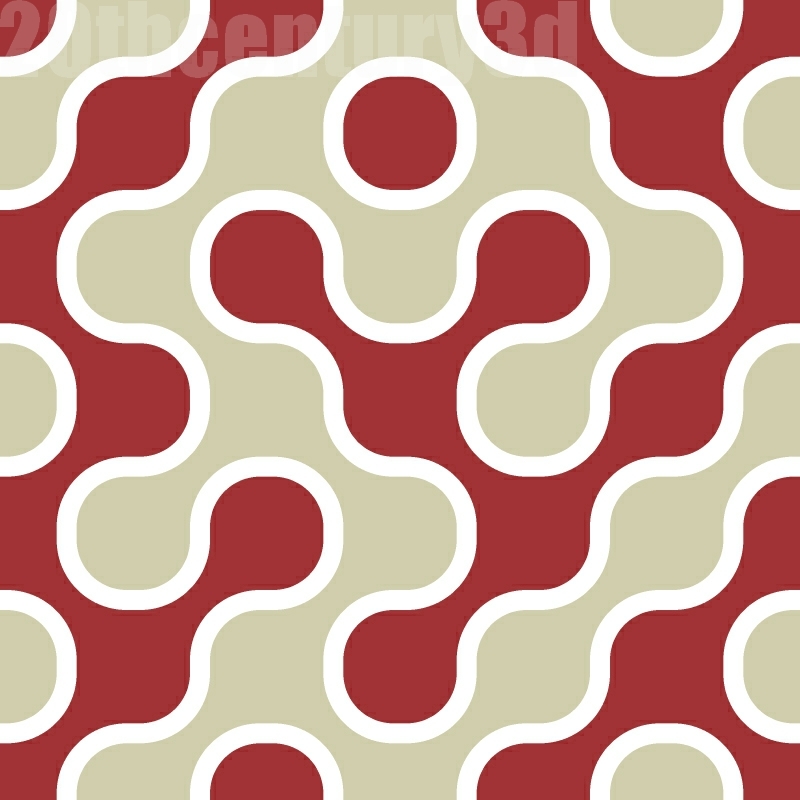 This is a nice pattern in a nice colour and, I have to say, one of my favourites. According to my notes the red is Post Office Red and the colour between the pattern is Gossamer, these colours taken from the British Standard of the 1950s. To be honest, having now the opportunity to sit and look at the finished image, I think this is an ideal linoleum for a hallway even today as it would have been mid-century. Unfortunately, in the move from BT to Yahoo I have managed to delete my Flickr account and so these images do not appear at a larger resolution than you will get from clicking above.